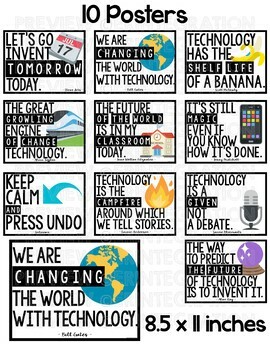 10 technology quote posters with Emojis. 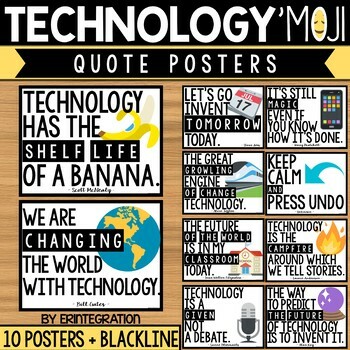 Each technology themed classroom quote has one related Emoji displayed. 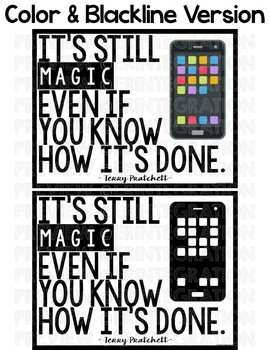 Check out the thumb nails and preview to see all 10 technology quote posters. 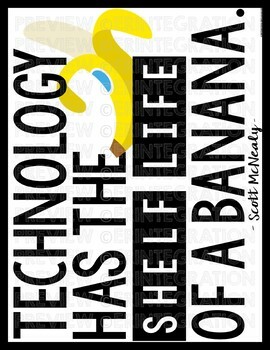 Technology quote posters look great on a technology lab bulletin board or near a device cart! Posters come in color and each poster also comes in a blackline version too! Posters can be printed up to 8.5 x 11 inches each. Both a pdf and high-resolution png images of each individual poster are included for a variety of printing options. Buy the Bundle of All of my Emoji Decor and SAVE. More Technology and Emoji Themed Classroom Decor.